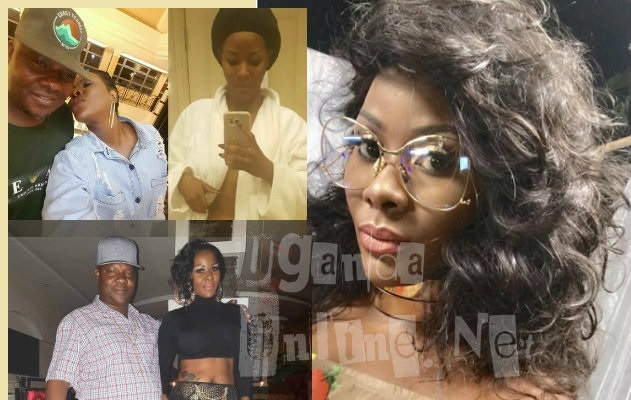 Desire Luzinda has another set of pics out there doing rounds online. The good news is, they are not as saucy as the one's her ex Nigerian lover, Franklin Emuobor, leaked. In one of the pics, Desire is in a bathtub and the other, she is seen taking a selfie in a cream color night gown showing off a little bit of her southern region. These must have been leaked by the singer because they are mild compared to the first pics that broke the internet for months. Meanwhile, her efforts of telling whoever cared to know that she was not dating the Masaka based businessman have not yielded much. Looking at the photos of these two and the body language therein, you can't fail to figure out what their feelings and intentions. In her defense, she said that they are not lovers, but business partners...Hmmm The only business Desire is whispering to Lwasa is none other than; 'I want you and I want you now.."
Desire Luzinda also leaked a short clip in which she was telling Lwasa to tell the world that he was in love with her and can't live without her kitty, but the businessman was too shy to let it out, he just giggled. 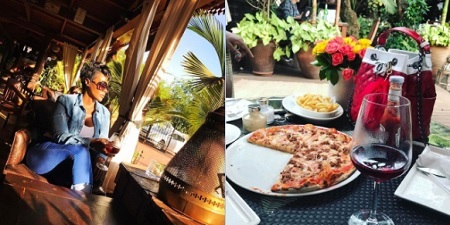 Desire Luzinda is one of the artists that will be performing at the launch of Tavern Kick in Masaka that is owned by the businessman, it launches on Jul 28, the Ekitone singer says she will be the lead singer on that day and that's why Lwasa is showering her with lots of love. Desire does not stop at that, but also cruises the businessman's black AMG v8 Turbo. 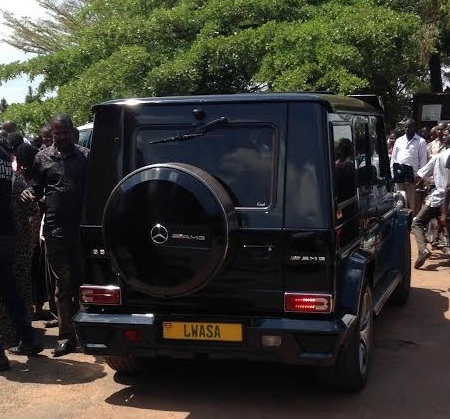 On being asked about this, Lwasa said, he has so many cars out there and that he has not seen sme for days like the one with 'LWASA 4' reg plates. Desire has previously been linked to loaded dudes including the former Kampala Mayor Al Hajj Nasser Sebagala.